F&W food editors apply their incredible cooking knowledge to explaining what to do with a variety of interesting ingredients. I’m always looking for quicker ways to cook whole grains. Executive food editor Tina Ujlaki has extolled the awesome Village Harvest frozen grains. I also love Pedon’s bags of dried grains that magically cook in a pot of water (just like pasta) in 10 minutes. I particularly love the blend of five different grains, which I recently sautéed with shallots and mushrooms to serve as a superfast side dish. 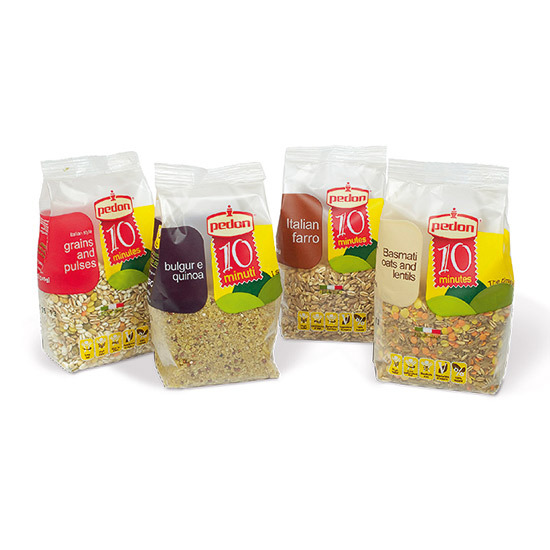 But Pedon’s products are great in any recipe that calls for farro, barley or wheat berries.